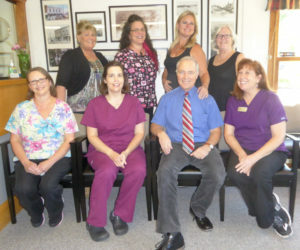 At Independence Dental, my caring staff and I strive to provide you with high quality dental services. Our friendly staff work to make your visit as comfortable as possible. If desired we have nitrous oxide gas or relaxing pills available for use during your visit. We provide most dental services right here in our office including cosmetic treatments like teeth whitening, bonding and esthetic veneers. We have been serving the community in this same location since 1985. We are excited to have added a new piece of equipment called the Wand to our practice. It is a computer driven device that makes the anesthetic process more comfortable. Ask us about it at your next appointment. We schedule evening appointments each week. When you call, our staff can schedule your appointments and answer insurance questions you may have. Call (503) 838-1633 to setup an appointment.